Hiya Papaya shared pictures of a really pretty house in the Utah Parade of Homes, designed and built by Lindy Allen of Four Chairs Furniture and Cadence Homes….and I’m pretty much crushing on every room. 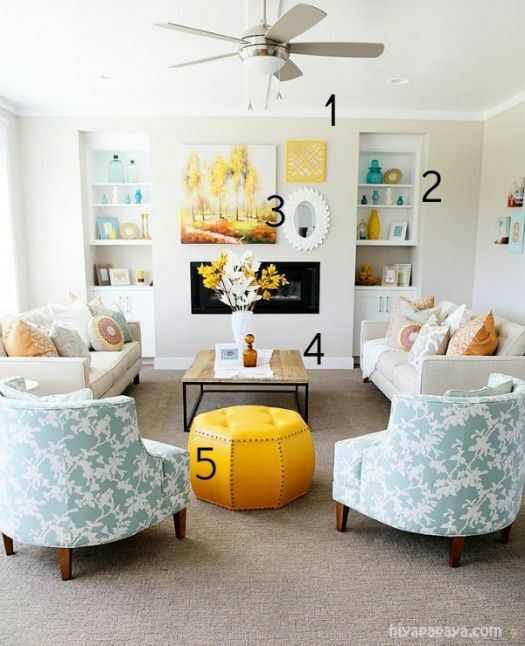 Especially this living room, which is such a perfect combination of a neutral pallet with bright pops of color. 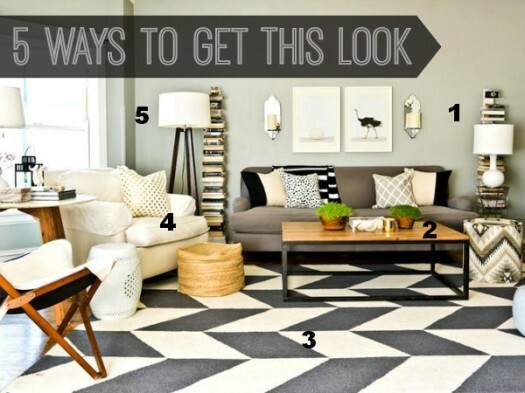 Well, you’ll be happy to know I’ve done the leg work for you, and found five DIY projects that will help you achieve a look similar to the decor of this pretty room. Enjoy!